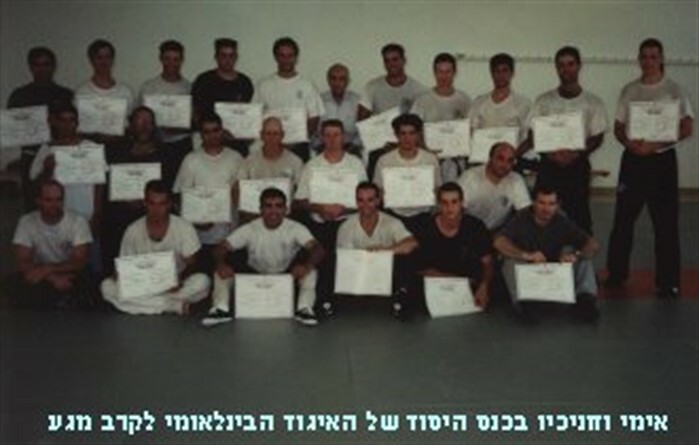 In 1964 Imi retired from the IDF and continued teaching Krav Maga to civilians, as well as law enforcement units and military applications. 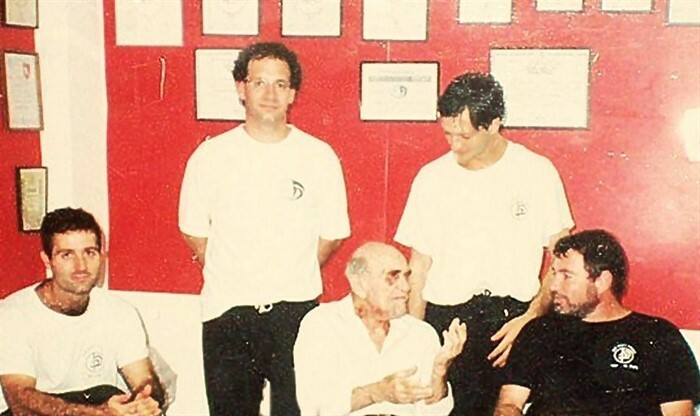 The Krav Maga association was founded by Imi and several of his students in 1978, aiming to promote KM’s unique techniques locally and throughout the world. 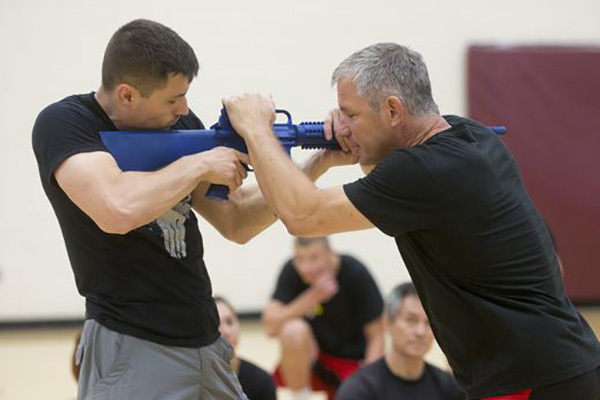 We believe self-defense training starts with excellent physical fitness. 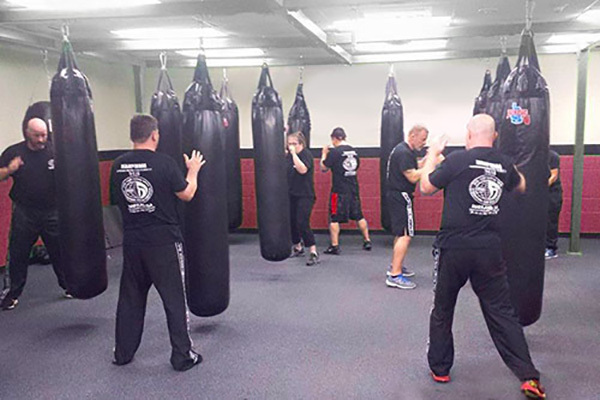 In order to fight and defend oneself and in the spirit of the founding tenants of Krav Maga, fitness is a necessary part of training to be fit enough to use the techniques or to escape a situation successfully. Watchdog Krav Maga doesn’t just provide you the techniques to use to protect yourself, but also the fitness training to prepare you for those techniques. Intimidated? Don’t be—we are a family at Watchdog Krav Maga. Everyone works together to help each other achieve. We praise success and encourage growth. The small class sizes advocated by the Instructor help to foster the family environment everyone at Watchdog loves. Are you looking for a complete gym with trainers, classes and full-featured equipment? Membership includes access to all of our training facilities and classes with no hidden add-ons. Do you want to learn how to fight and stay physically and mentally fit? The Krav Maga fighting systems is the easiest to learn and most effective fighting system in the world. Worried about what to do to keep your family safe in an emergency? Active shooter, gun and knife defense classes teach you how to recognize and neutralize a threat to get you home safe. Looking for one-on-one instruction to help you hone your techniques? Our trainers are on-hand and ready to take your fighting skills, physical and mental toughness to the next level! In search of self-defense training techniques just for women and girls? Join us for our Women only Stay Away multi-week seminars, specifically designed for women to defend against an attacker. Want to make sure your child knows how to protect themselves when you are not there to protect them? Our kids Krav classes are crafted for kids and teens to deal with bullying that builds confidence and helps teach methods to avoid conflict. “I came to Brian in February of 2013...he worked with me carefully and kept a close eye on me, just like he does on all his students. He knew what me limits were and how far to push me, and he understands what his students are and are not capable of. To me, this is what a great coach does. Not only has Brian helped me develop my martial arts skills, he has helped heal me when no doctors or medicine could.